As you likely know, migraine headaches are distinguished in the medical literature from other headaches by symptoms such as pounding skull, nausea and/or vomiting, one-sided pain, sensitivity to light and visual aura symptoms. But when you’ve talked to enough people with migraines, you realize there are a hundred different patterns and triggers and way that people respond to different treatments. How did we all get lumped together as one diagnosis? Possibly more important – can we get out of the paradigm of “diagnose & treat symptoms” to consider what may be causing migraines? The very narrow definition and classification of migraine headaches was only formalized in 1988, conveniently coinciding with the release of the first blockbuster treatment option (sumatriptan). Migraines certainly aren’t a new phenomenon, though. 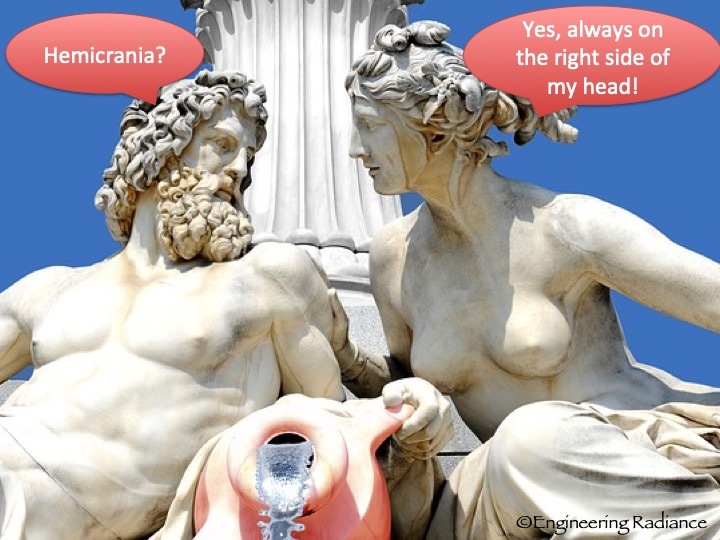 The word migraine is thought to have stemmed from the Greek word hemicrania (translation = half the head), and reports matching our experiences of migraine headaches go back in recorded history to ancient Greek and Egyptian times. Although the new definition fits very comfortably into our modern medical model, ongoing research could soon shed more light on a large amount of variability the way people experience migraines and respond to treatments. You will be told that little is understood about the exact mechanism that causes migraine headaches. And yet, the menu of pharmacological “solutions” is longer than the menu at the Cheesecake Factory restaurant chain. Who do these narrow classifications of different types of migraines serve? Even though humans like to define conditions and put them into separate boxes, it may turn out that this box called migraine headaches is hurting us more than it is helping us because we get caught up in the weeds of defining the type of headache and trying the latest relief treatment instead of looking at what all headaches and migraines have in common – an underlying imbalance in how the rest of the body is supposed to function. Putting parameters and different names on different conditions is very important for medical professionals to be able to properly go down a checklist to diagnose a condition and then match it up with the corresponding drug or treatment. In the US medical system books such as the International Classification of Diseases and Diagnostic and Statistical Manual of Mental Disorders are reference guides for licensed practitioners to diagnose and treat diseases. If you look at your medical bills you’ll see ICD codes, because the insurance companies track that treatments are in line with industry-prescribed guidelines. 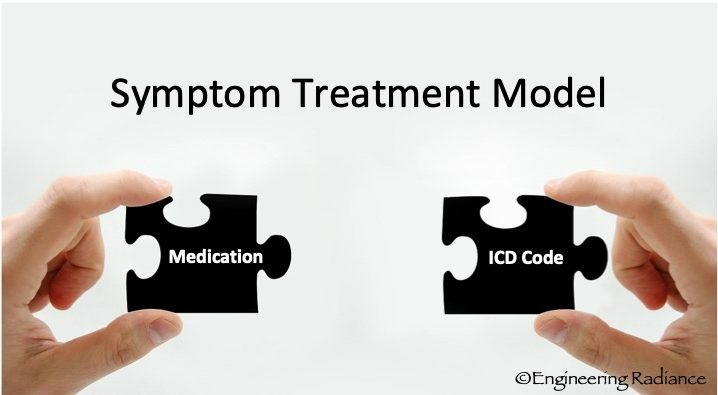 If a new medication comes out, that can help people with certain forms of a condition but not others, the reference guides have to be updated with more narrow, specific classifications of the disease so it is clear which condition the medication can be prescribed for. Every medication comes with risks and side-effects. It is approved and prescribed on the basis that the benefit outweighs the risk. Narrow classifications about severity and symptoms are key to make this risk-benefit decision. 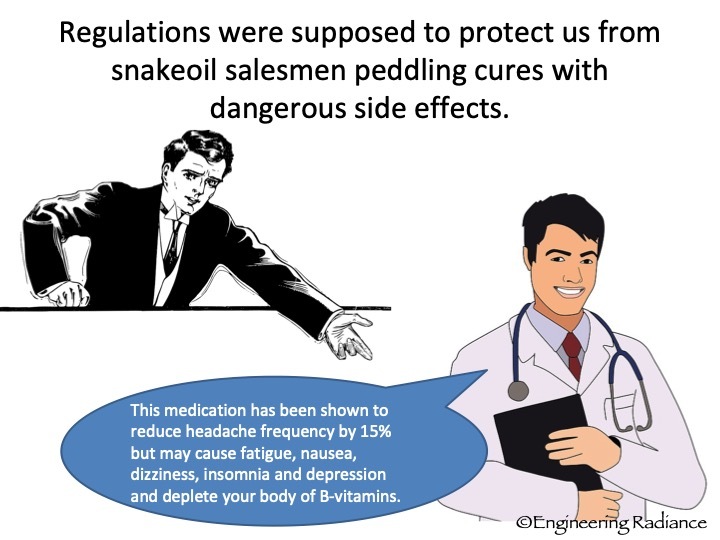 A significant part of my master’s program in pharmaceutical engineering at the University of Michigan was to learn how drugs are designed, developed and then approved by the FDA and other regulatory agencies. Although I went into it out of a love for helping people and the amazing power of chemistry, the more I learned about the risk-reward decisions that have to be made at every stage of development and the financial drivers of the industry, the less I wanted to be a consumer of the medical industry. So let me ask you, who do you think it serves to nail down a neat and tidy diagnosis? Your complex and ever changing body? The medical industry? I’m not saying that you shouldn’t go seek a diagnosis, but have some perspective on the purpose of it and don’t lose sight of the more important question – why? Why are you experiencing headaches and migraines of any sort to begin with? 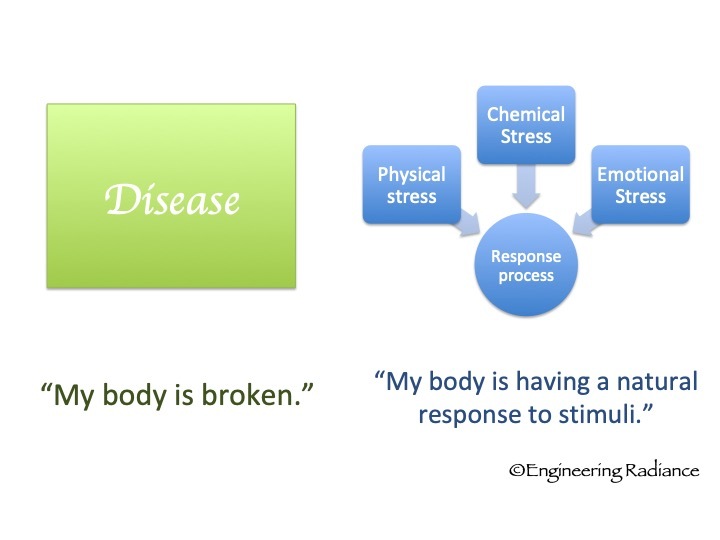 What is off balance in your body? Don’t ever let a diagnosis become your identity. While I fully support going to get checked out by a neurologist to rule out rare but serious conditions, many people spend years and a small fortune trying different drugs and treatments without questioning the root cause of their headaches and migraines. Is it illegal to talk about natural migraine prevention? Are you interested in preventing migraines? As of writing this (April 2016), the migraine prevention options on WebMD include beta-blockers, calcium-channel blockers, anti-depressants, anti-convulsants and botox. And that is the end of the page. Really? Are you telling me a headache means I am deficient in anti-convulsant pharmaceuticals? Since I know this is not really the end of the list of options, I can’t help but feel that someone with a vested financial interest influenced the content of this page. Have you ever wondered why we don’t hear about natural options and remedies to prevent migraines? The FDA has strict rules (read here) about the claims that can be made around specific foods or supplements with regards to diseases and health conditions. As long as we view migraines as a disease – not only will be stuck in a victim mindset, but we are not allowed to consider alternative preventative actions. The body was elegantly designed to function as it needs to to meet certain objectives that sustain the human race. Therefore symptoms such as headaches serve a purpose to alert us of things that aren’t serving us and ideally get us to change our behavior. Instead of keeping migraines in a box labeled DISEASE, I see it as a natural, normal PROCESS (mechanism) – part of our body’s response to certain stressors and stimuli (just like inflammation or an immune response). This view of migraines is empowering because it allows us to look for and tweak the variable inputs of the process, to have an effect on our sensitivity to experience the pain and symptoms of migraine. 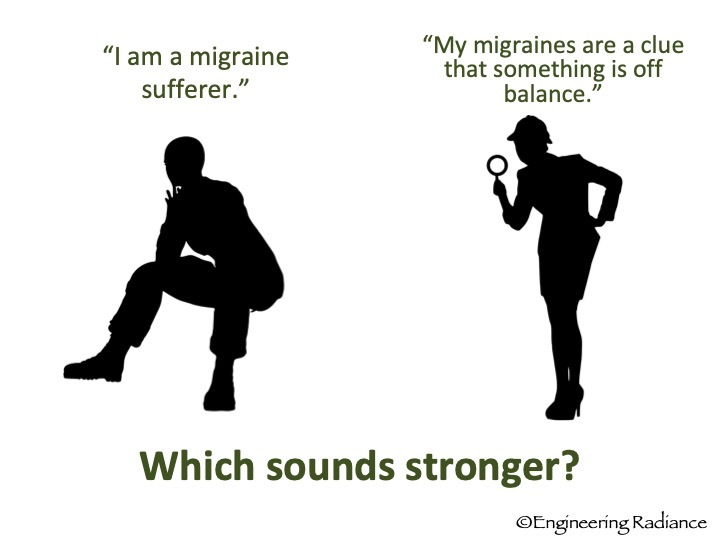 Rather than handing our power over to an authority to fix our broken bodies, we can play an active role, put our detective hats on and feel optimistic about the opportunity to reduce the frequency of experiencing pain by addressing some of those obvious and less obvious migraine stressors. Don’t take my word for it: Check out this book by a neurologist and professor at Johns Hopkins School of Medicine. Is there a place for relief care? If you ask me, yes of course. Migraines are debilitating and can keep us from the very basic functions of taking care of ourselves, showing up for our families and careers. It is good to have many migraine treatment options. It is entirely up to you and your doctor to decide what the right treatment plan for your migraines is. Our objective at Engineering Radiance is to give you the tools to find the root causes & to build holistic health so that you can ultimately discover freedom from frequent migraines. 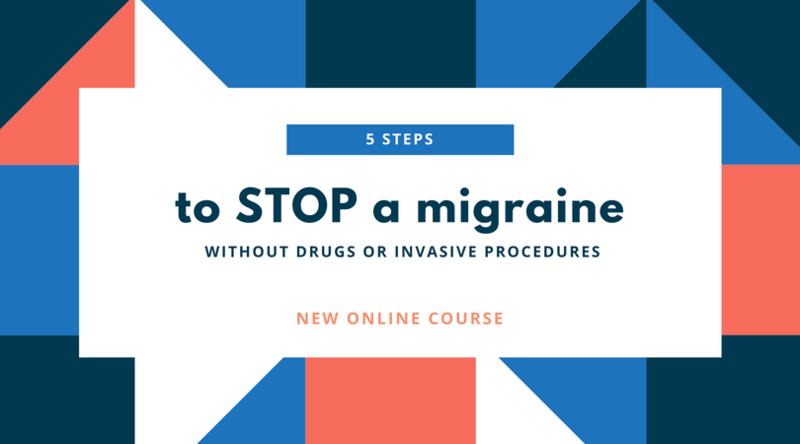 If you are seeking simple, drug-free relief options that are proven and easy to use at home, then you will love the video library we put together for you in 5 Steps to Stop a Migraine. This online course teaches a 5-step method for systematically applying natural remedies in a way that will halt the migraine process before it ruins your whole day (or week). Click here to check it out. Do we know why different people react to different triggers?